Ebola checkpoint between Port Loko and Western Districts, Sierra Leone. A handwashing station, which had been created by some enterprising individual(s). The jugs could be manipulated by way of a foot pedal, created out of branches and cords, which would then be used to tip the jugs, releasing the chlorine mixture contained inside. 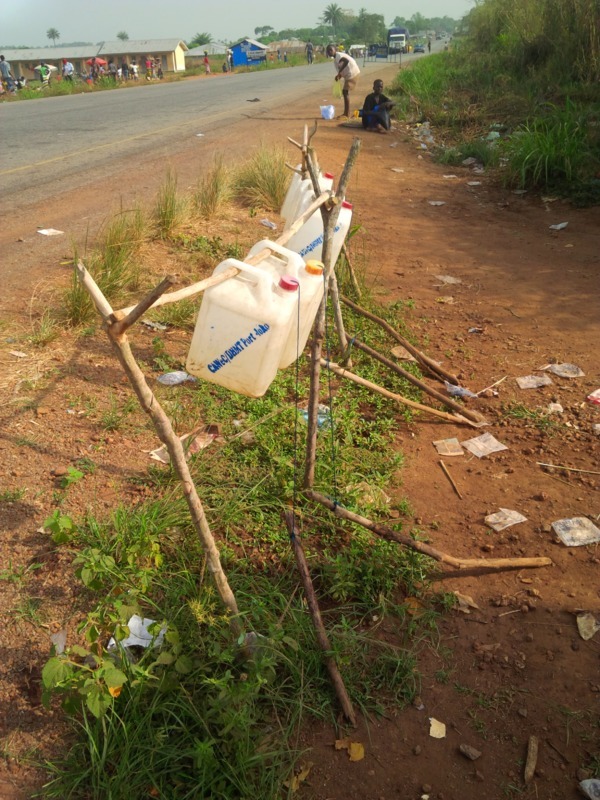 Laurie Kamimoto, “Handwashing Station ,” The Global Health Chronicles, accessed April 20, 2019, https://globalhealthchronicles.org/items/show/7761.